Before we get into today’s post, the first order of business is the announcement of our third and final contest for 2013, Adonis Transformation contest AT12, which kicks off next Monday Sept 2nd and ends on Wednesday Nov 27th. As many of you in the U.S. are aware, Wednesday November 27 is the day before Thanksgiving. It’s encouraged that you submit your final pictures earlier than the deadline but nevertheless the full 12-week period will be available to those who need it. You may enter any time starting next monday by using the tracker app found within the Adonis Index Community. Remember to enter your mandatory before pictures, along with all your starting measurements. The deadline to submit your starting pictures and measurements is Friday September 6th at Midnight (Eastern Standard Time). Now that all announcements are out of the way, it’s time to give credit, where credit is due… We often find ourselves wishing we had more spots to award than just “The Top 10” in our transformation contests. 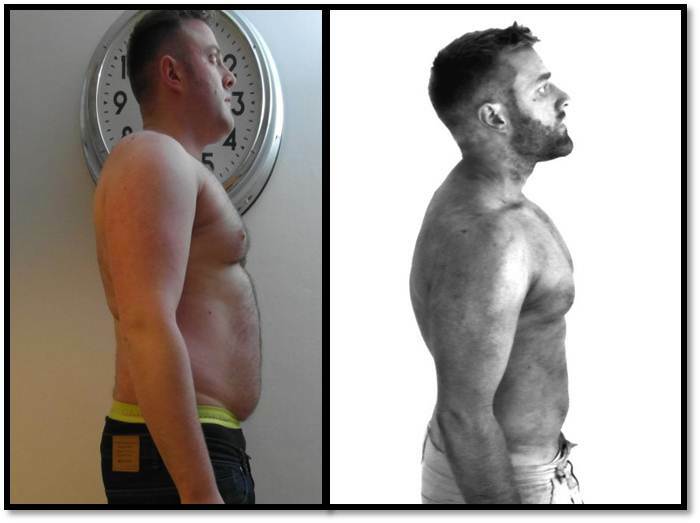 Today’s post features AT11 contestant Simon Cozzolino, who lost a whopping total of 48 pounds during the contest! Simon putting forth an exceptional effort, had the most weight-loss amongst AT11 contestants. Although he did not appear in the Top 10, make no mistake his transformation did not go unnoticed. family and colleagues are immensely impressed with my progress so far.” -Simon C.
“The Nutrition calculator was very simple, eat 1000 calories a day average- no problem I thought. Wrong, this would soon become a major hurdle for me.” -Simon C.
“I couldn’t finish all of the reps at once, I even struggled to finish push-ups- but I stayed in the gym until every rep was done, every time.” -Simon C.
Younger in life I was never this fat. I was into sports, very active and kept up my gym raining throughout my early twenties. However, it wasn’t until my late twenties that I started commuting to work for a better job. Shortly thereafter, I was overcome with the balance of stress and time constraints and I quit going to the gym. After a couple of years passed my friends and family started telling me I was looking big, so I weighed myself and the numbers glaring back from the scale came as a major shock to me. Nevertheless, I kept convincing myself I wasn’t really that fat and that things were fine. After shaking off those delusional thoughts, I needed a motivational boost, so I bought the AGR system in 2010. I actually never started the program, it took me until 2013 at the beginning of AT11 to actually take a step forward and simply begin the program. The Nutrition calculator was very simple, eat 1000 calories a day average- no problem I thought. Wrong, this would soon become a major hurdle for me. The workout plans were really simple to follow, there were a few moves that I had no idea about, but the guide has links to short instructional videos which solved that problem. The first 6 Weeks were a breeze, I lost the majority of my weight then- while the workout plans was simple to follow, the actual workout itself was immensely tough because of my lack of recent training. I couldn’t finish all of the reps at once, I even struggled to finish push-ups- but I stayed in the gym until every rep was done, every time. After 6 weeks the caloric deficit became harder to maintain while performing the exercises, so I dropped the amount of weights used and soldiered on- but it was HARD WORK. Along the way, I missed my fair share of workouts and helped myself to some days off the diet. Those days off felt great! Coming to the end, I now have a whole new wardrobe, friends, family and colleagues are immensely impressed with my progress so far- although I know I have a way to go to golden. I now look at my before pictures, and I could swear I was never that fat! 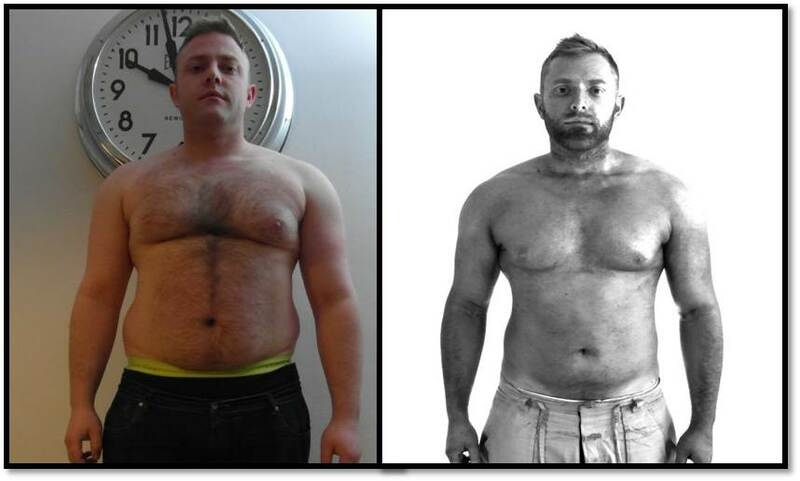 Again congratulations to Simon on an awesome transformation, we hope to see you in a future contest!